NYC is Blue: Is the Adidas Catalog Teasing a Navy Blue Away Kit? 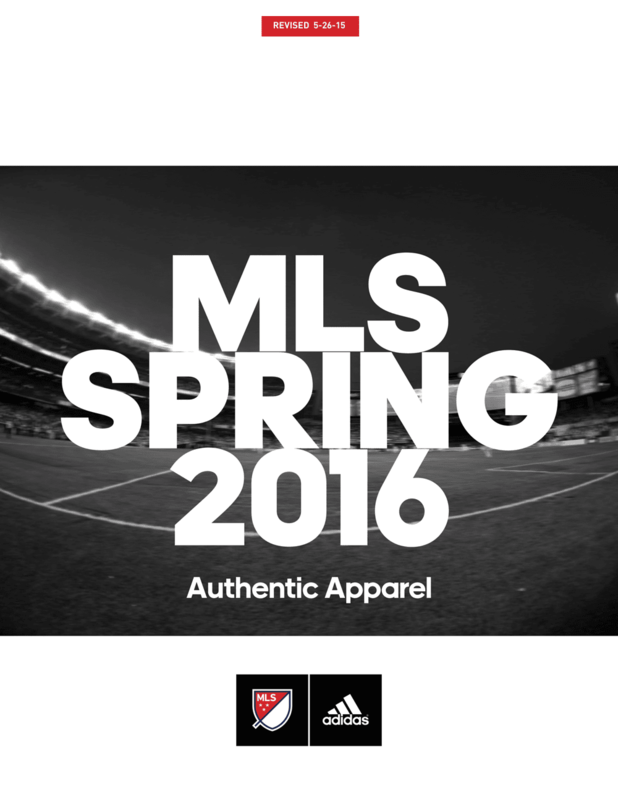 Is the Adidas Catalog Teasing a Navy Blue Away Kit? The MLS 2016 Authentic Apparel catalog was leaked online this past week, and is available for your perusal. It's sixty pages of merchandising goodness, and it contains a tantalizing hint of what might be coming for our New York City Football Club. The catalog starts, naturally enough, with jerseys. 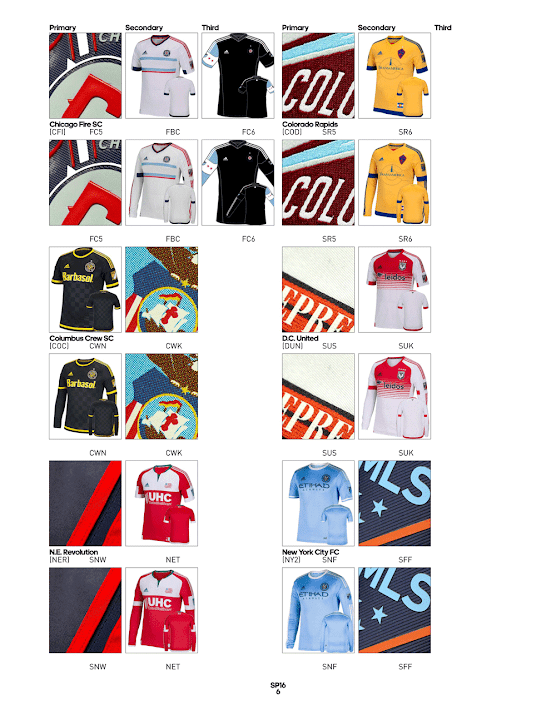 Four solid pages of jerseys, in fact, for every club in the league. All jerseys carrying over from this year are presented in full. 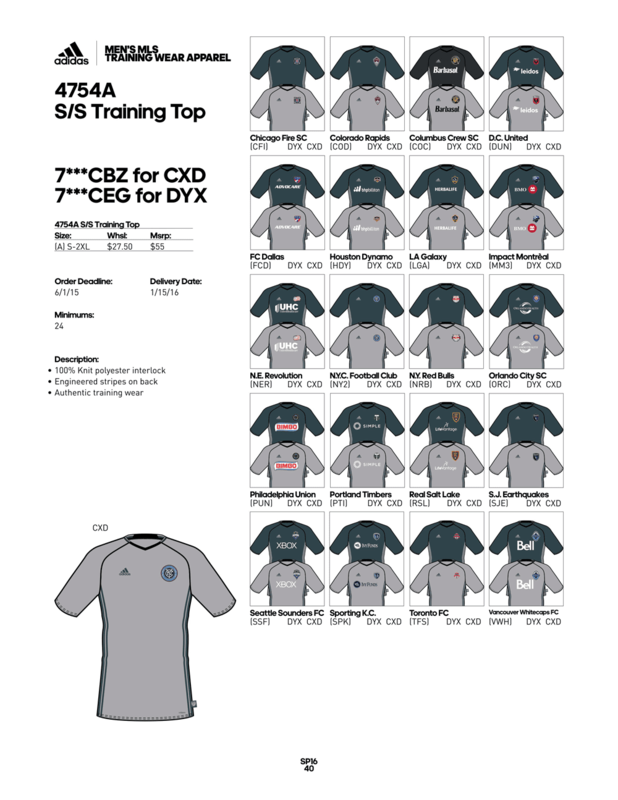 It also looks as though the Columbus Crew's alternate black jersey will become the primary next year, which is an unfortunate downgrade (own the yellow!). Jerseys yet to be unveiled are represented by teaser images, closeup details presumably from the jerseys themselves. 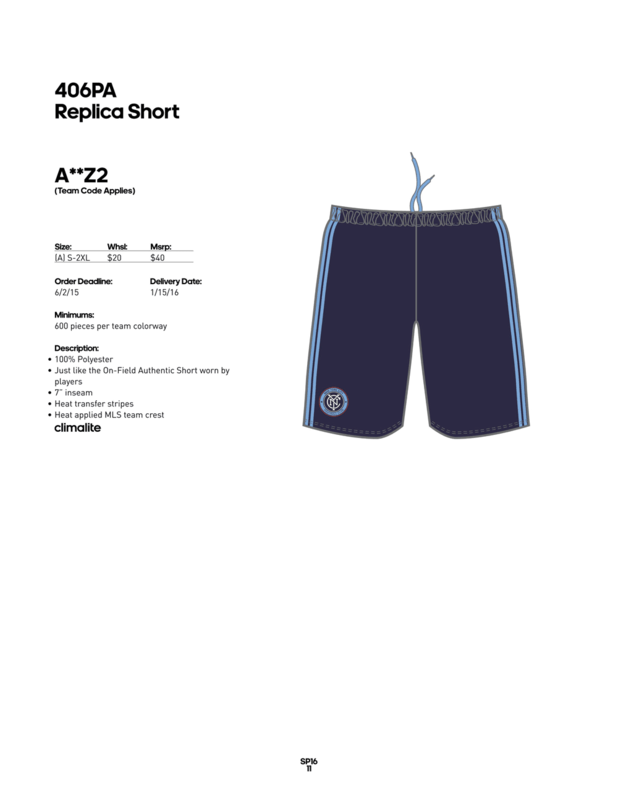 Let's take a closer look at that NYCFC teaser. That looks a lot like a navy shirt and patch. It's the same design as the current black jerseys, with sky blue letters and stars surrounded by an orange shield outline. But the background color appears to have been swapped for dark blue. So at the least we can infer that the black jerseys will be retired. Is this telling us that we will get a navy jersey in its place? That would make the black jerseys a one-off. If so, I wonder if there will be any fan backlash, considering how popular they are with the supporters. 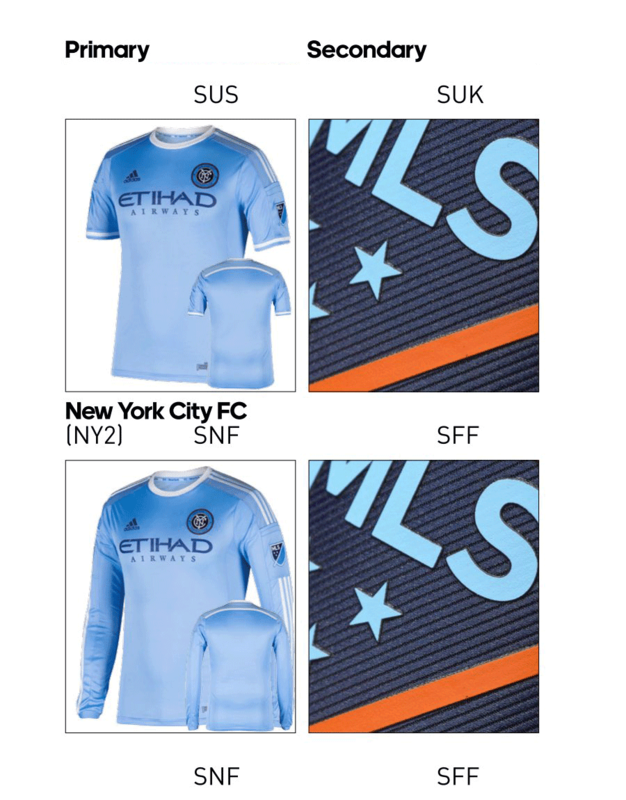 Can't help but notice that Etihad's logo doesn't appear anywhere on these items. Neither does the logo for New York-Presbyterian, the current training sponsor. That may or may not mean anything. Another thing that stood out; Addidas has moved its signature three stripes from the sleeves, at least on the sideline and training gear. The three stripes now run from the armpit to waistband. 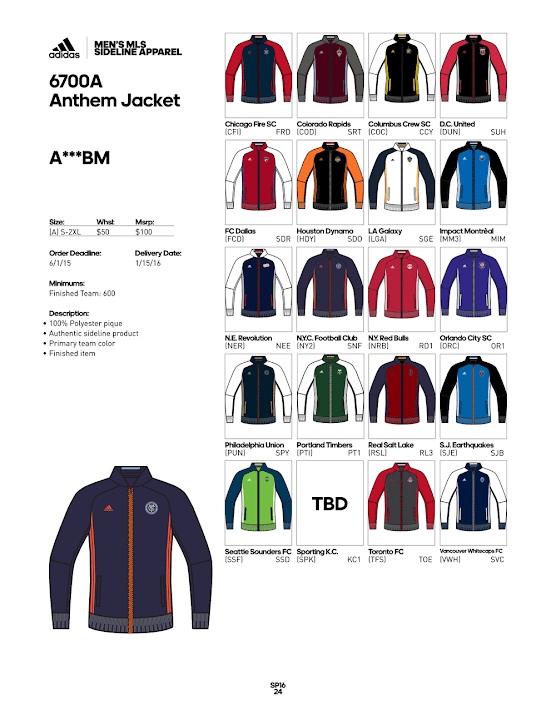 Much less noticeable, which makes me amazed that Adidas would even consider it. Wonder if we'll see the new sleeves on jerseys as well? 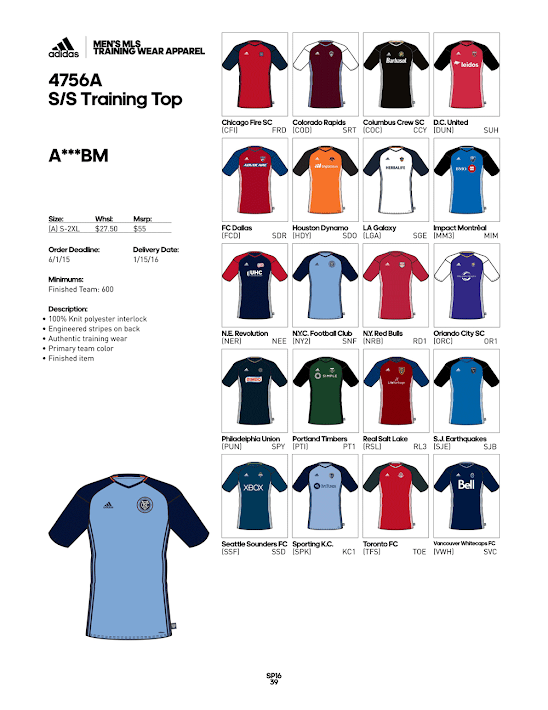 Perhaps even NYCFC's new navy blue road jersey? I think you're confusing amazon.com with Amazon Web Services. I doubt this is meant for public consumption. You are correct, and I have clarified that sentence. Thanks!